Hopefully, you’ll never be in a position where you’re experiencing a crisis situation; however, you can never tell what’s going to happen. 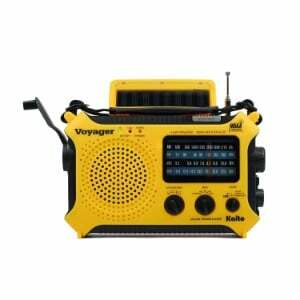 However, if you ever are in a state of emergency, having an emergency radio is a great tool to have. This device can keep you connected and provide you with the latest information about events and other pertinent information that may be going on in your location. These devices offer several power option, so in the event that the power grid shuts down, an emergency radio will still work and provide you with the information that you need to stay aware – and stay safe. To learn more about each emergency radio, read through the following reviews. Once you’ve decided on an option that you think will best suit your needs and you’re ready to make a purchase, click on the yellow link to find the best prices currently available on Amazon. First up on our list of the best emergency radios is the Midland – XT511. 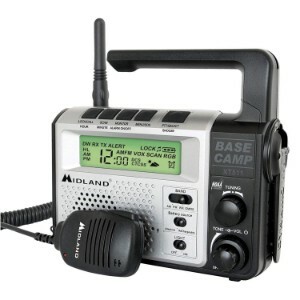 Midland is a highly trusted name in the electronics industry and offers some of the highest quality products, including two-way radios, HAM radios, walkie talkies, and CB radios, so you can be sure that you will be getting a premium quality emergency radio. Not only does the Midland- XT511 serve as an emergency radio, but it also functions as a handheld two-way radio. With 22 General Mobile Radio Service channels, as well as channel scan, so you’ll be able to connect with other people in your area when an emergency does arise; plus, there are 121 CTCSS/DCS privacy codes, which offer a total of 3,144 channel options, so you can keep your conversations private. It also functions as a weather radio, as the device features NOAA weather scan, which will automatically scan through 10 weather band channels and lock onto the strongest one so that you can get all of the latest weather updates in your area. There’s a NOAA weather alert feature, too, which will sound an alarm when the risk of severe weather arises. 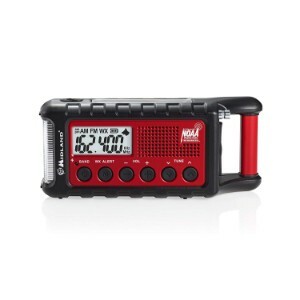 This emergency radio can be powered five different ways, including AA batteries, a 6 volt rechargeable battery pack (included), and AC adapter (included), a DC adapter (included), or a dynamo crank, so you’ll always have power. Final Review: With the Midland – XT511, you’ll be able to stay on top of the latest news and information and communicate with others when the power grid fails. It functions as an emergency radio, a weather radio, and a long-range two-way radio, and there are five different ways that the device can be powered to ensure it always works. Kaito is another well-known and highly trusted name in electronics. They offer a wide selection of premium products, including short wave radios, Bluetooth speakers, marine VHF radios, and even musical instruments. All of products are outfitted with the latest technologies and are durably made, and their KA500 emergency radio is certainly no exception. This portable emergency radio is compact and lightweight, so you can easily take it with you and it won’t weigh you down. With six power options, including a hand crank generators, a solar panel, AA batteries, a 5 volt USB input, a 5 volt AC/DC input, and an NiMH replaceable and rechargeable battery pack, it will always function when the power goes out. Offering complete coverage of AM and FM stations, as well as 7 pre-programmed NOAA weather channels, you can use this radio to get the latest updates on severe weather and other emergencies; plus, you can tune into sports, talk-shows, and other stations for entertainment purposes when there’s no power. It also features a Public Emergency Alert System, which will notify you when serious problems are on the horizon. This emergency radio also functions as a mobile battery charger, so it can power up all types of devices, including handheld GPS, a business two-way radio, mobile phones, and even digital cameras. With a built-in LED flashlight, reading lamp, and a red SOS beacon light, you can use this radio to see in the darkness, too. Offering outstanding reception and clarity, and built of impact- and water-resistant materials, you can use this device virtually anywhere. Final Verdict: Overall, we were quite impressed with the Kaito KA500 emergency radio. With six power options, complete coverage, and great reception, this radio will keep you informed, entertained, and even power up other devices when the power goes down. If you’re looking for a super lightweight, compact emergency radio, the Midland – ER310 is a great option to consider. The small size of this radio makes it easy to transport; you can stow it in your backpack and it won’t take up tons of space, or even clip it onto a belt and it won’t weight you down. Not only is this emergency radio compact, but it’s also outfitted with all of the essential features. It has a built-in emergency flashlight, as well as an SOS flashlight beacon, which flashes Morse code that can be used to signal for help. It also has an ultrasonic dog whistle, which can also be used to alert emergency rescue to your location. The NOAA weather scan and alert automatically scans through seven weather channels and connects to the strongest station; plus, it will instantly notify you when severe weather is in your area. This device can also be used as a portable charging station, so you can use it to keep other devices powered up. Plus, it offers multiple power sources, including a solar panel, a hand crank, and a rechargeable 2600 mAh battery, which holds its charge for up to 32 hours; or, it can run on AA batteries. Of course, it connects to AM/FM radio stations, too, so you can use it to stay updated with the latest news or for entertainment. Other notable features include a bright LCD display, a headphone jack, and a digital clock. Final Verdict: With the Midland – ER310, you’ll be able to charge your devices, notify emergency rescue teams of your location, and stay on top of the latest news and weather updates. It’s lightweight, compact, and has multiple power options, too. Made by the American Red Cross, you can be sure that the FRX3+ Emergency Weather Radio offers reliable connectivity and all of the essential features that you’ll need to stay safe in an emergency situation. This emergency radio offers incredible audio quality, so you’ll have no trouble hearing AM/FM broadcasts, or the seven NOAA/Environment Canada weather bands. It also features a weather alert, which will automatically sound when severe weather is in your area. It’s powered by a rechargeable lithium ion battery (included), which holds a long charge; however, if the battery does die, you can use the ergonomic hand crank and solar power to charge the radio up. A built-in, bright LED flashlight will guide you when the lights go out, and a red LED flashing beacon will notify emergency crews of your location. There’s even a USB port that can be used to charge up your devices, and it comes complete with a mini-USB cable. Final Verdict: The American Red Cross FRX3+ Emergency Weather Radio offers all of the features you could need when the power goes out. It features a flashlight and an SOS beacon, it gets clear reception of AM/FM stations and NOAA weather stations, and it can be used as a charging dock; plus, it offers multiple power options. Looking for a reliable and super affordable emergency radio? 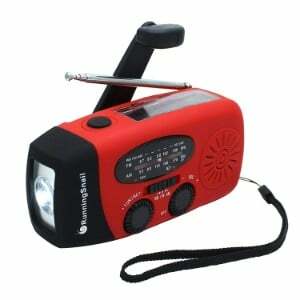 If so, the RunninSnail Emergency Hand Crank Self Powered AM/FM NOAA Solar Weather Radio is a great option to consider. It’s the least expensive option on our list, but it also offers all of the features you could need in an emergency situation. Featuring a 1000 mAh power bank, you can use this radio to charge your devices using a micro-USB cable. A built-in LED flashlight provides plenty of light when there’s no power. With great reception of AM/FM stations, as well as NOAA weather stations, you’ll be able to stay updated with the latest news and weather. Plus, there are three ways to recharge the radio, including micro USB, solar, and manual hand crank; all of which will charge up the internal battery. This radio is compact and lightweight, so you can easily tote it around, and it comes complete with a built-in wrist strap. Final Verdict: The RunningSnail Emergency Hand Crank Self Powered AM/FM NOAA Solar Weather Radio is a very affordably priced emergency radio that offers all of the necessary features. You’ll be able to receive the latest news and weather, charge your devices, and see with this emergency radio; plus, there are three ways to recharge it. You never know when an emergency is going to arise; a severe storm could move into your area and knock out the power, your home could get flooded, or the power grid could fail without notice. In these types of situations, having an emergency radio on-hand can make a huge difference in your safety, hence the reason why investing in this type of device is a great idea. There are a lot of emergency radios on the market, and below, we’ll highlight some of the features that you should consider to ensure you are getting the best device to suit your needs. Charging options. Most emergency radios are powered by rechargeable batteries; however, when the battery power runs out and there is no way to recharge it, the device needs to be able to recharge itself. High quality emergency radios will offer multiple recharging options, such as solar power and a hand crank, so you can repower the device, no matter what. NOAA weather access. Staying aware of severe weather is extremely important when the power goes out, which is why an emergency radio should always offer access to NOAA weather stations. When the power goes out, you need a way to see. 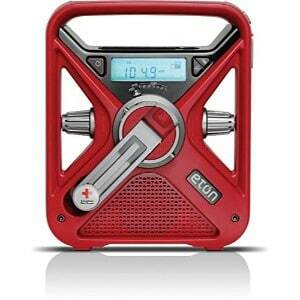 A true emergency radio will feature a built-in flashlight. Charging station. You’ll need a way to recharge other devices, like a smartphone, when the power goes out, so an emergency radio that can also function as a charging station is a wise investment. An emergency radio is an excellent way to stay aware when emergency situations arise. Not only do they offer access to AM/FM radio stations so you can hear the latest news updates, but they should also feature weather alerts, a built-in flashlight, and other handy features that will keep you safe when the power goes out. All of the emergency radios featured in this review boast the necessities – and then some; plus, they’re highly reliable and durably built, so no matter which one you choose, you can have confidence knowing that it will meet your needs when an emergency arises.